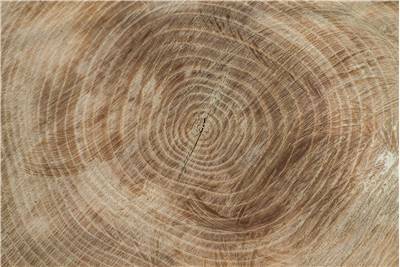 Wood is a fibrous and porous structural tissue of wood trees and other wood plans. This organic material made from natural cellulose fibers is found in their roots and stems, growing upward all the way to the tops of their canopy. The main physical characteristic of wood fibers is their strong tension that is created both by its natural strength, and the way the fibers are embedded in a matrix that very effectively resists compression. Wood plays an important supporting role in a living tree – it enables all woody plants a strong structure on which they can grow and reach more sunlight than surrounding plant life, to elevate their fruit from the easy reach of animals and off course, it conveys the nutrients and water between roots and canopy. Wood does not only cover the secondary xylem of the stems of trees, but it can also include many other types of plant tissues that have very similar structure and comparable properties (including the roots or other), or even material that is engineered from wood, wood chips or fiber. Even before the creation of earliest human civilizations, wood was extensively used by our ancestors as a fuel for fire, construction material, for making tools, furniture, weapons , and as a source from which other useful form factors (paper) or chemical compounds could be extracted (such as purified cellulose, cellphone, and others). Today, wood is used all around the world as one of the most popular carbon-neutral renewable resource that is used in many industries, most notably in building construction and furniture industry. It was reported that out of 434 billion cubic meters of worldwide forests, up to 47% of them are currently being exploited commercially. Wood is incredibly versatile build material, and thousands of variations in its internal structure, species of the tree, and the processing can lead to the different characteristics of the finished products. While many woodworkers are focused on things like tension, weight, durability, and ease of use, others are much more interested to extract from the wood things like its warmth, shine, and to match the beauty of the wood grain and weave to the surrounding décor. 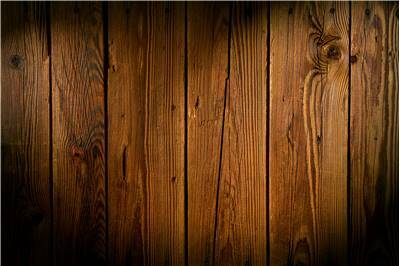 The most common way all woods are differentiated is the classification ofhardwoods and softwoods. The wood from confiner-type trees (such as Pine) is called softwoods, while the wood from usually broad-leaved dicotyledons (such as oak) are called hardwoods. The actual hardness can vary between them, leading to hardwoods which have very soft wood structure and softwoods which are very hard, strong and durable. Hardwood trees are usually regarded as premium types of wood. They come from trees that most of the time have very slow growth and very dense cellulose fiber structure. While the wood harvested from the hardwood trees is usually tough to be processed due to its hardness, the finished products have the ability to withstand time and outdoor elements much better than those created from less durable softwoods. 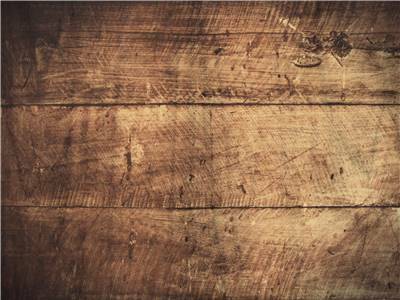 Hardwood is usually visually characterized by the darker color, which has made them much more expensive than other types of wood. They also often have very strong wood density, which is closely connected with the particular species of tree that yielded it. 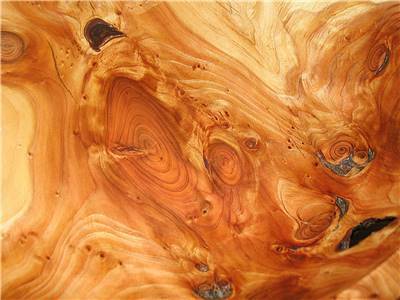 The densest type of hardwood is African black ironwood (Olea capensis). Oak - The staple of the woodworking industry. The reliable hardwood that can be used for almost any application, both indoors and outdoors. Maple - High-quality hardwood that can elevate the visual impact of any room. Used extensively for both furniture and high-end objects. 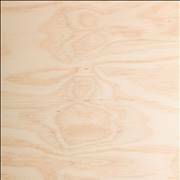 Basswood - Hardwood of great acoustic quality, most commonly found in musical instruments, carvings and lumber products. Ipe Wood - Ipe is known for its durability, which is why it can today be found in flooring, paneling and objects that must endure a lot of usages (door handles, tool handles, and others). Cherry wood – Chery hardwood is excellent for both construction, flooring, furniture, as well as the creation of smaller durable objects and specialty wood items. Olive wood – Cream or yellowish-brown olive wood is today used for the creation of high-end and stylish furniture, art objects and expensive small specialty wood items. 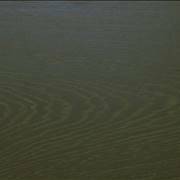 Wenge wood – Black stripes that flow across the medium brown, yellowish and reddish hues of wenge are praised for their acoustic properties in music instruments, but this hardwood is also used in furniture, paneling, veneer and turned objects. 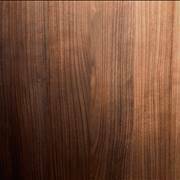 Walnut wood – Wood taken from many varieties of walnut trees can be used for the creation of wide array of products, including furniture, paneling, and small turned objects. Teak - Golden or medium brown hardwood of Teak is praised all around the world for its excellent durability, strength, and visual appeal. Also, to use in both indoor and outdoor applications, it is also regularly used in boatbuilding. 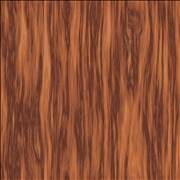 Cocobolo – Incredibly diverse variety of Cocobolo hardwood (including orange, yellow, red and brown shades) have found popularity all over the world in musical instruments, fine furniture, and small specialty items. The worldwide supply of Cocobolo is currently very limited. Curly Maple - Moderately-priced maple hardwood is very durable and versatile, which has enabled it to be regularly used for flooring, furniture, musical instruments to an incredible variety of wooden objects. 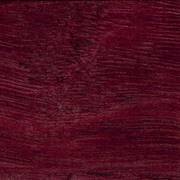 Rosewood – Dark and visually rich hardwood of rosewood are famous for its top of the line resilience to decay, which makes it the perfect material for building high-end furniture, flooring, musical instruments and turned objects. Rosewood is very expensive, and its trade is currently closely regulated by several South American governments. Sapele – This famous tropical Africa hardwood with golden to dark reddish-brown hues was regularly used in boatbuilding, flooring, furniture, and creation of musical instruments, but in recent years its trade was severely limited due to overexploitation. Teak – Teak is one of the most popular sources of highly-durable and versatile hardwood in modern woodworking and processing industry. Originally found in Asia, today plantations of teak can be found across tropical regions of Africa, Asia, and Latin America. 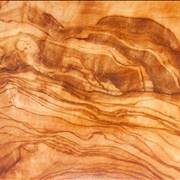 Mango wood – Famous moderately-durable hardwood tree of Tropical Asia and Oceania is a traditional source of wood for Hawaiian and Pacific ukuleles, furniture and turning objects. Mahogany – The undisputed king of hardwoods. 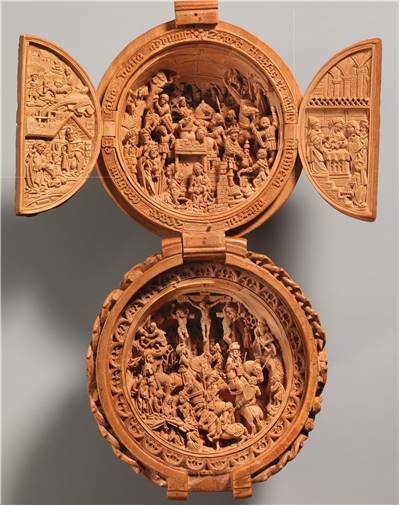 Its incredible visual appeal and strong properties have made it a highly sought-after source for the creation of high-end furniture, fine instruments, art objects and other specialty wood items. Softwood trees (any three that are producing not leaves, but cones) are regarded to produce mid and low-tier quality wood that can be used for the creation of wooden objects and furniture with several limitations in regard their durability, strength, and endurance of the final product. While the hardness itself can vary from very soft to hard, most of the softwoods indeed feature lower density internal structure that makes them light and easy to process . 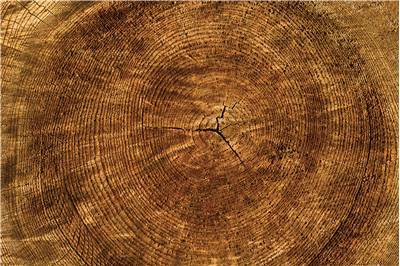 Visually, softwood trees have an internal structure that is paler than hardwoods. Since the worldwide market has placed high attention on darker wood types, this often paints softwood products ‘inferior’ when compared with hardwood. While softwoods can be used in construction, furniture manufacture and more, one of the largest use case scenarios is in the production of manufactured wood – chipboard, fiberboard, and plywood. Pine – Pines come in wide variety of density and strength, making them suitable for creation of an incredible variety of indoor and outdoor objects, which includes construction, wood pulp production, ornamental uses, and others. Spruce - One of the most common evergreen trees in the family of Pinaceae is known for its versatility of timber. Since it lacks durability against insect attacks, wooden objects made from spruce wood are extensively used only indoors. Cedar – Cedars are the most common softwoods in the mountainous regions of Mediterranean and Himalayas, where they are used for creating objects (such as chests) that have excellent durability against insects and moths. They are also used for the production of unique cedar wood shoes. Fir – Evergreen Fir trees can grow to the impressive 80m in height, making their softwood highly sought after for manufacture of industrial timber, pulp, plywood. Similarly, like many other softwood trees, the Fir wood has very poor insect resistance, making it usable only in indoor environments. Larch – Native to colder parts of northern hemisphere and one of the most common evergreen trees of Siberia and Canada, wood of these trees is commonly praised for its durability, strength and waterproofing, which make it excellent for production of outdoor furniture, support beams, boatbuilding, and both indoor and outdoor flooring and paneling. Western hemlock – Originating from western Alaska, the timber of this large evergreen coniferous tree is often used in the creation of pallets, boxes, plywood and other construction objects. Yew – Yew is a type of softwood that features strong density and often strong rot resistance, making it suitable for the production of wide variety of wooden objects, including furniture, cabinets, musical instruments, turned objects and archery bows.